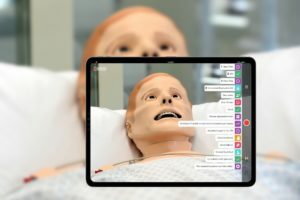 Today New York Clinical Skills Prep’s (NYCSPREP) Standardized Patient Eric Brown writes in to share about how the group is utilizing simulation through Standardized Patient engagements to help medical students and professionals. 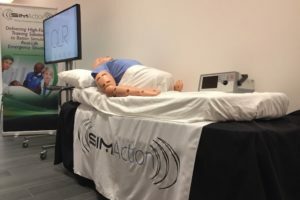 If you are a simulation program looking to expand your Standardized Patient learning opportunities to internal programs or, if you are considering the expansion of your program into external offerings for revenue generation – then this is the article for you! Their goal is to be the leading focused-approach review and training center for USMLE Steps and to provide quality US Clinical Experience (USCE) to medical students and professionals worldwide. What’s fascinating is they are a completely private organization specifically catering to external clients — what a fantastic and unique business model! The NYCSPREP faculty is comprised of a group of practicing MDs who are passionate about teaching. Gleaning from their experience of seeing ‘Real’ patients, they have developed an effective three day workshop, which addresses all of the core competencies of the USMLE Step 2 CS exam. They have a specially designed facility in New York designed uniquely for external learner groups. 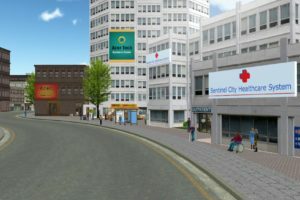 They offer simulated practice at their brand new facility, which is designed to mimic the real test center and ideal to practice with other students. 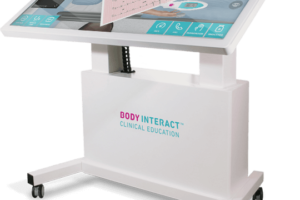 NYCSPREP also has the ability for you to hire professional Standardized Patients to simulate learning engagements in private one-to-one sessions! The group boasts a 97% pass rate with over 4000 medical students and physicians trained — so certainly their track record of of success is proven!  The ability to provide quality training to SPs is a core requirement to that success. Better trained SPs provide better patient presentations and evaluative outcomes. In other words, the more you can invest in your SP training program, the better the medical student outcomes will be for your exams. That’s probably why NYCSPREP is affiliated with several medical schools who appreciate the value of their SP training programs and trust them to prepare their students for test day. NYCSPREP showcases their Standardized Patients role at the facility. 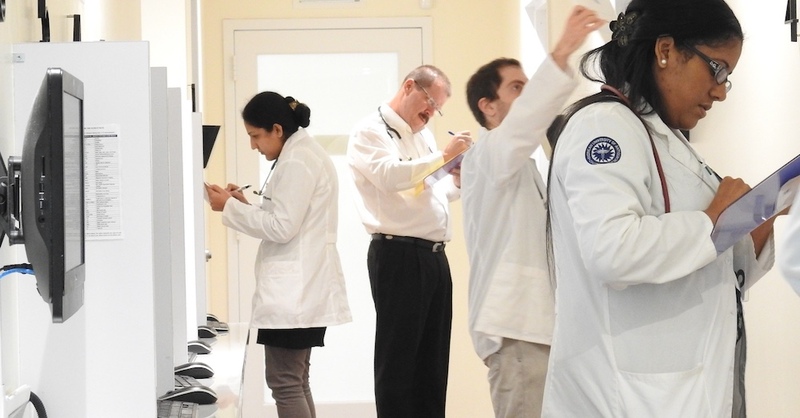 Standardized patients, who play the role of actual patients, perform an important role in the medical student’s practical education at NYCSPREP providing the opportunity to directly experience the interview and physical examination process. These SPs are in essence actors who have undergone extensive training to reliably and consistently portray healthcare problems and then to aid in the evaluation of the students who examine them. They may critique student interviewing, physical examination and interpersonal skills; teach parts of the examination; or provide feedback to the students on specific patient situations. 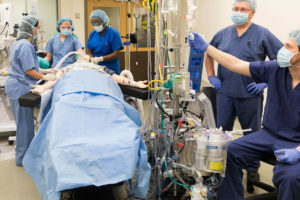 Some standardized patients may be trained for non-medical simulations or to assist with support roles, such as a spouse or adult child, during projects. Sps generally put in several hours of training and rehearsal for each case before working with learners. 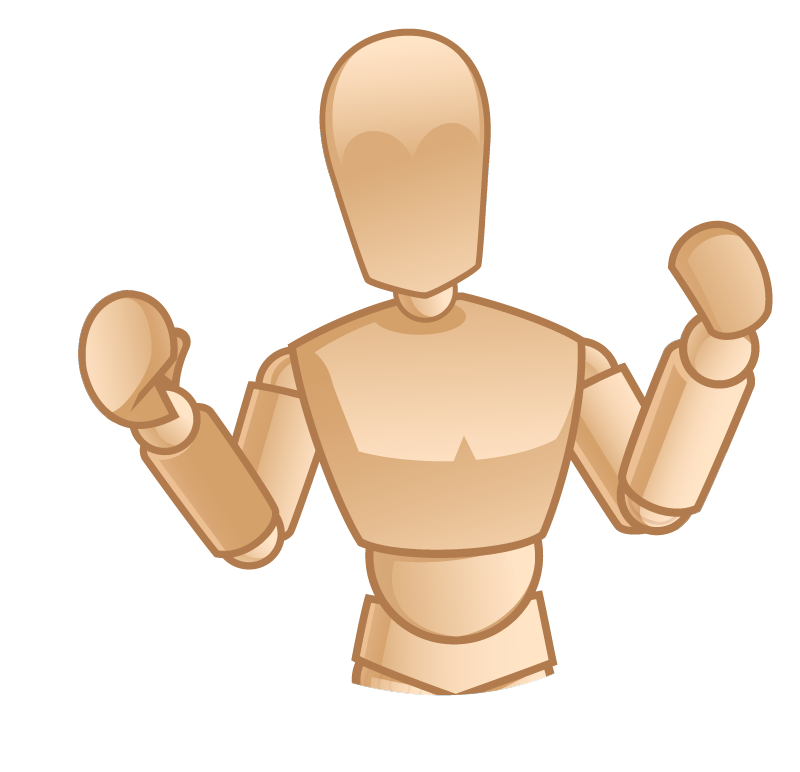 Many projects include learning to simulate physical symptoms, like abdominal pain, back pain, fatigue, stroke or heart attack. Sometimes SPs deliver serious and difficult-to-hear information, such as the death of a loved one, likelihood of recovery, or discovery of an abnormal genetic or metabolic problem, before medical students have to deliver such news to real patients. All cases come from real patient experiences. Ask family members to leave the room during sensitive parts of the interview. Learn More About the Standardized Patient Training Program at NYCSPREP’s Website!